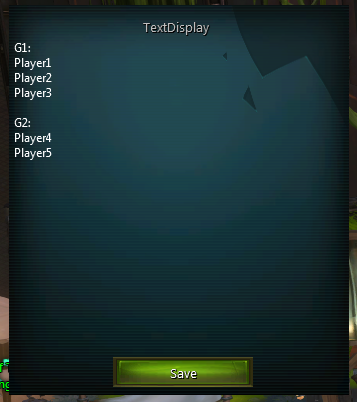 Displays a background-less movable text frame. /txd to open the initial window. /txdp to output the content of the notepad window to the party chat group. CTRL+click to move the background-less window.